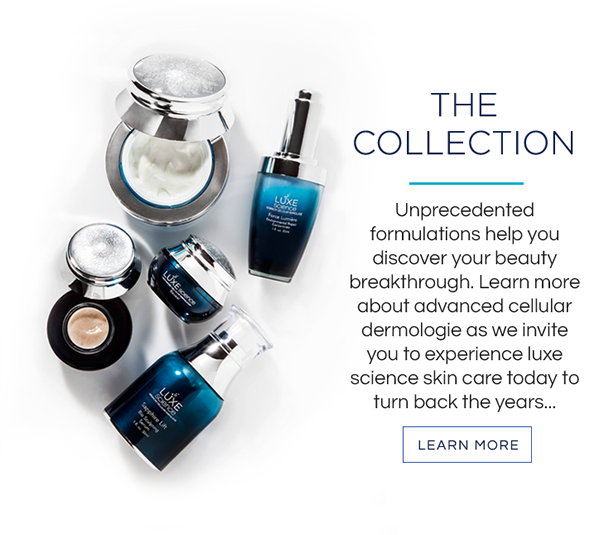 Innovative science and beauty unite to breathe new life into your skin. 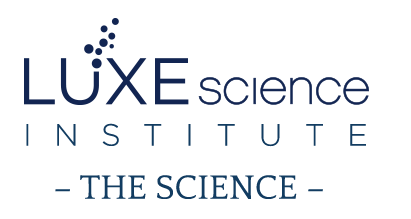 Welcome to the Luxe Science Institute – A collaboration of skin consultants, state-of-the-art technology and powerful natural remedies that create a dynamic synergy of results-oriented solutions for your skin. Offing both high-tech age repair therapies and high touch classic skin care, your access to the very best global solutions to address skin conditions offers you an opportunity to experience new and exciting methods and products to achieve lasting change. Institute treatments are comprehensive, multi-beneficial and customized with your personal needs in mind. We invite you to reserve a complimentary consultation today. – Herbologie Therapy for Natural Beauty. Carboxy Therapy for Instant Skin Rejuvenation. Discover Innovative skin care at its finest as you experience the restorative effects of effervescent CO2 & Oxygen Therapy with Accoustic Waves to refine pores, lighten pigmentation, treat acne and restore a youthful glow to your skin. Visual results are immediate, while a progression of treatments is recommended. 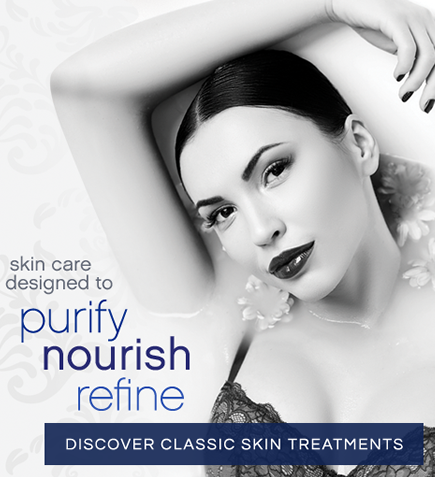 Ideal as a monthly “Ultimate Facial” and a perfect prelude to special occasions! Phyto Plasma Therapy for environmentally compromised skin. Featuring the world’s most advanced energy based technology, Elastogen helps to stimulate collagen thus creating skin firming, tightening and a long term facial contour remodeling. Ideal for face and neck applications. Introducing Volumify- The gold standard in anti-aging therapy. Featuring next generation energy based technology to help resurface, contour, stimulate dermal volume, rejuvenate and reduce wrinkles, Volumify combines the thermal remodeling of Elastogen with an energy based fine micro pin therapy that triggers the body’s natural healing response mechanism, thus producing hyaluronic acid, neo collagen and elastin. Recommended in a series, fantastic results are achieved. Enhancement: Fine Crystal Microdermabrasion $69 specially priced. Defy the aging process with radio frequency energy to help redensify your skin’s elasticity and improve firmness. Utilizing next generation technology, La Firme may be experienced on face and body to sculpt & treat cellulite. Please schedule your complimentary consultation with a Body Care Consultant to discover which La Firme Treatment programs will address your needs. Offering safe, efficient, results-oriented and comfortable treatments, the Luxe Science Institute features a new, cutting edge system equipped with integrated technology incorporating vacuum pressure and energy wave forms.Combined with modern Chill tip technology that utilizes a proprietary cooling system to momentarily numb the skin for more comfort, the combined matrix achieves maximum energy absorption into hair follicles, faster treatment times and impressive results. A high performance purifying treatment that includes thorough cleansing and extractions combined with pore refining AHA peel, anti-bacterial Oxygen complex and clarifying masque to remove dull surface skin cells and deep clean congested skin. Ideal for all skin conditions requiring deep cleaning, acne and smoker’s skin. Discover the mysteries of nature once unknown- now unlocked by innovators and scientists of esthetic medicine. Plant stem cells-adapting to new environments communicate repair strategies to support de-aging. Amino acid chains- proven to reduce wrinkle depth unveil exciting new capabilities to re-densify the dermis, reduce inflammation and improve elasticity. Powerful anti-oxidants scavenger free radicals to protect against environmental aging while various plant and ocean based sub-species are explored as scientists reveal their unprecedented cellular repair abilities and enzymatic processes. Combined with a multitude of energy and light wave forms, Institute treatments offer you the very best state of the art solutions to naturally regenerate skin tissue and ignite skin radiance. Institute treatments encourage skin tightening, contouring, sculpting, smoothing, hydrating, purifying, brightening and skin rejuvenation. 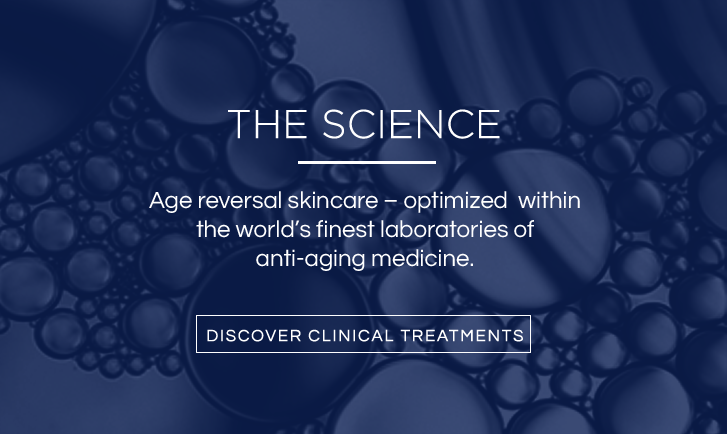 Our natural and progressive approach to transforming your skin is optimized through an on-going skin care treatment regimen coupled with Luxe Science Advanced Dermologie Home Care Collections. The power of touch is coupled with plant based remedies for the most refreshing treatment, customized especially for you. Aromatherapy, steamed towels, pressure point and lymphatic drainage massage techniques pair with professional grade smoothing peels, nutrient complexes and other treatment infusions to unveil your beauty potential! Lumiere -A complete skin care regimen to help repair sun damage, brighten skin tone and illuminate your complexion. Featuring exotic fruit extracts containing a bounty of vitamins and antioxidants, powerful skin brighteners and proprietary actives that convert UV light into energy, your skin will instantly come to light with new radiance! Forever Young – Featuring the most advanced actives to target signs of aging including expression lines, wrinkles and mature skin. Wrinkle-relaxing results are immediate while neo-collagen tissue regeneration and improved skin density continue to emerge. Your Skin will positively look years younger! Beauty Code – Innovative and luxurious, we’ve cracked the code to beautiful skin! Discover this new & exciting range of transformative formulations to help improve skin firmness, volume and hydration while instantly diminishing the effects of stress to your complexion. The ultimate in skin rejuvenation! Symmetry –Thoughtfully formulated with powerful natural ingredients and the most scientifically advanced age reversal actives, the Symmetry collection is ideal for those who desire youthful skin while also balancing skin conditions of excess oil or sensitivity. Clean, Clear, Calm and refreshing! 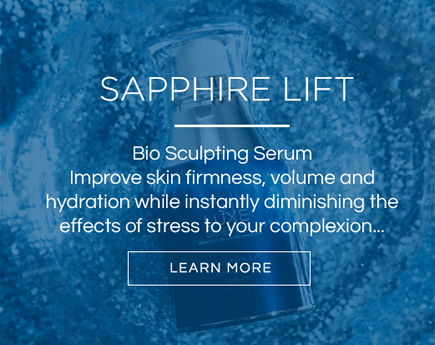 Our featured Luxe Science product is from our Beauty Code collection, Sapphire Lift, a bio sculpting serum. Innovative and luxurious, discover this new and exciting range of transformative formulations to help improve skin firmness, volume and hydration while instantly diminishing the effects of stress to your complexion. Your skin will look years younger! Use in combination with the other products in the Beauty Code collection for optimum results.